The app will supposedly be a lead example of Apple’s tentatively named StreamKit framework that will enable cellular Apple Watch models to receive push notifications from third-party apps like Facebook and Twitter, completely independent from a paired iPhone, on watchOS 5. 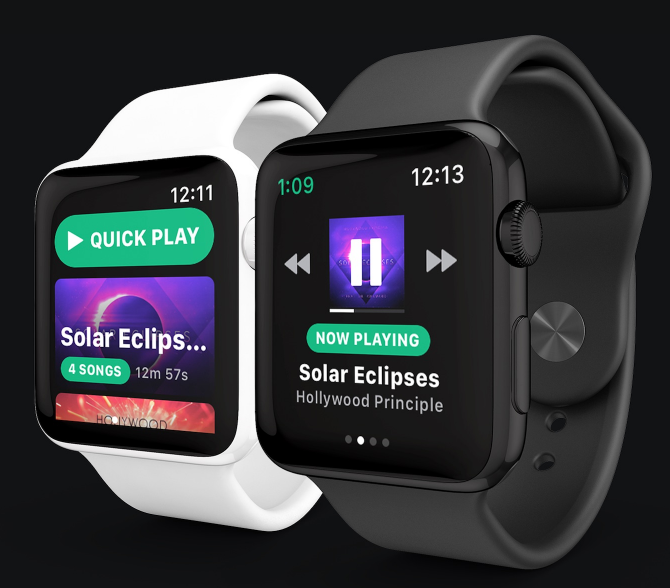 Nearly a year ago, third party developer Andrew Chang announced on Reddit an official Spotify app for Apple Watch was coming soon, as he had been hired to work closely with the streaming music service. The said Spotify Apple Watch app named ‘Snowy’ by Chang, would allow premium members see playback progress and control music from from the wrist, via a personalized watch face. Apple’s 2018 developer conference takes place June 4-8 in San Jose, California, again at the McEnery Convention Center, just like in 2017. Are you excited at the prospect of a Spotify app for Apple Watch?